China-based Hytera Communications’ ability to import and sell certain DMR equipment and software into the United States could be jeopardized later this year or early next year after U.S. International Trade Commission (ITC) administrative law judge determines that Hytera has infringed on four Motorola Solutions patents. China-based Hytera Communications’ ability to import and sell certain DMR equipment and software into the United States could be jeopardized later this year or early next year after U.S. International Trade Commission (ITC) administrative law judge today determined that Hytera has infringed on four Motorola Solutions patents. “I have found that complainant Motorola Solutions has proven, by a preponderance of evidence, that respondents Hytera Communications, Hytera America, and Hytera Communications America have violated subsection (b) of Section 337 of the Tariff Act of 1930,” according to the determination from ITC Administrative Law Judge MaryJoan McNamara. “I have found that Hytera has not proven, by clear and convincing evidence, that any of the asserted claims of any of the identified patents are invalid. In today's determination, McNamara found that Hytera Communications infringed four Motorola Solutions’ patents and that Motorola Solutions met the legal requirement of showing a “technical domestic industry” on three of the four patents. McNamara recommended that ITC commissioners approve an order prohibiting Hytera importing and selling product that utilize Motorola Solutions’ U.S. Patents No. 7,369,869, 7,729,701 and 8,279,991. Released this afternoon, McNamara’s opinion is the “final initial determination” for the investigation that has been conducted by the ITC since the case was filed in March 2017. Today was the scheduled deadline for McNamara to issue a determination, which ITC commissioners will consider before making a ruling—possibly one that mirrors McNamara’s recommendation to prohibit Hytera from importing or selling certain patent-infringing products in the U.S. as early as later this year. Typically, the ITC commission makes its rulings within four months of an administrative law judge’s determination, with the ruling often becoming effective within a few days after the ruling is announced. However, the U.S. president—currently Trump—has up to 60 days to review the ITC commission’s ruling and potentially overturn it, if the president deems it to be in the public interest. If Hytera is prohibited from importing and selling certain goods in the U.S., existing customers of the infringing Hytera products will not be asked to shut down their existing systems as a practical matter, according to multiple sources familiar with the situation. Whether these existing Hytera customers may encounter problems getting replacement parts or software upgrades to their systems likely would be determined by the details of any remedy included in the final ITC ruling, according to the sources. Although Motorola Solutions initially filed its patent-infringement claims against Hytera Communications in U.S. district court, many industry observers have been especially interested in the case before the ITC, which tends to issue rulings and implement any remedies more quickly than a legal court. Mark Hacker, Motorola Solutions’ general counsel and chief administrative officer, expressed support for McNamara’s determination. “Judge McNamara’s ruling validates our allegations, upholds the integrity of our intellectual property and rebukes Hytera for its unscrupulous and unlawful behavior in willfully infringing Motorola Solutions’ patents,” Hacker said in a prepared statement. “While we consider the initial determination an important step, it is only one component of our global efforts to address Hytera’s systematic, brazen and egregious theft and infringement of our intellectual property. 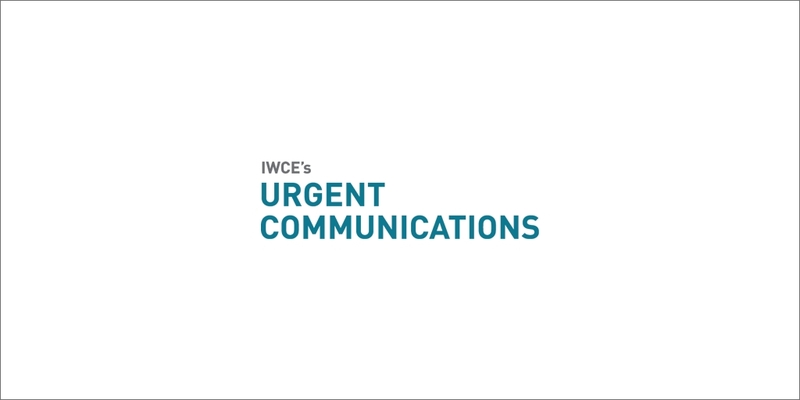 In a statement provided to IWCE’s Urgent Communications on Wednesday morning, Hytera Communications noted that McNamara’s determination found infringement on only four of the seven patents that were part the original Motorola Solutions complaint to the ITC last March. Hytera Communication said it would seek a reversal of McNamara’s determination, while noting that the company’s products currently can be sold in the U.S. pending further decisions and that new products developed by Hytera do not infringe on Motorola Solutions’ patents. “Hytera is disappointed with this initial determination,” according to the Hytera Communications statement. “We will ask the [ITC] Commission to review and reverse this decision. We believe our products do not infringe our competitor's asserted patents and will seek to demonstrate this to the Commission. “Importantly, since the Commission has not issued its final decision, there is no ban on the importation or sale of any Hytera products. Furthermore, Hytera has developed new products, which Hytera also believes do not infringe any of the asserted patents and which we previously presented to the ITC for its consideration. We are confident our new products do not infringe our competitor’s asserted patents.